Home» AP LATEST UPDATES | AP Medical Education News | AP Staff Nurses & Refractionist and Physiotherapist Job Application/ Notification » AP Staff Nurses & Refractionist and Physiotherapist Job Application/ Notification-2016 Download. AP Staff Nurses & Refractionist and Physiotherapist Job Application/ Notification-2016 Download. AP Medical Department Staff Nurses & Refractionist and Physiotherapist Job Recruitment-2016 Contract Basis job Notification and Application Download at dme.ap.nic.in , AP Notification for the post of Staff Nurses & Refractionist and Physiotherapist Contract Job Recruitment Notification and Application Download , AP New Jobs for Contract Recruitment total Posts-272 Notification for the post of Staff Nurses & Refractionist and Physiotherapist Notification/Application Download. 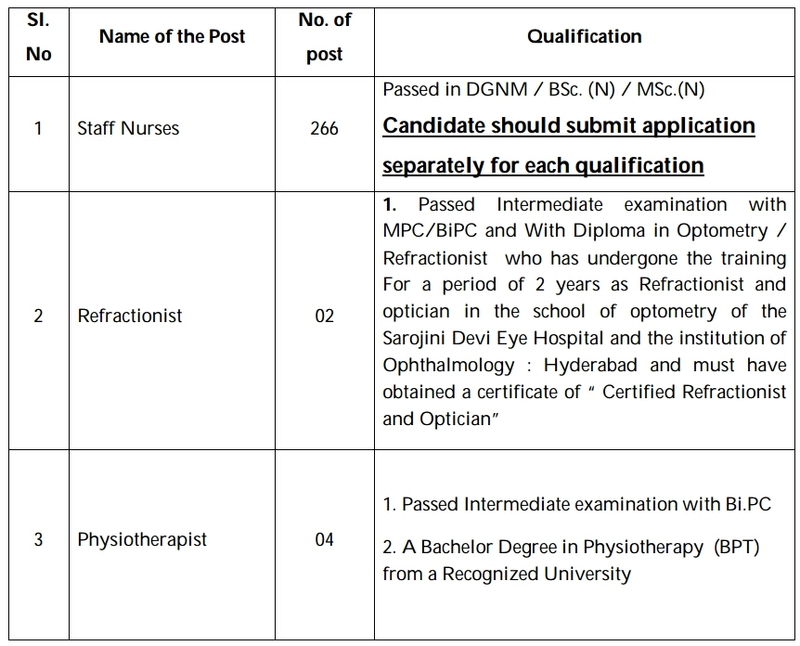 Applications are invited from the eligible candidates to the following posts Staff Nurses-266 & Refractionist-02 and Physiotherapist-04 to be filled on contract basis initially for a period of 1 year, as per G.O.Ms.No.18. Application and other details are available in http://dme.ap.nic.in and can be downloaded. The Last date for submission of application to the Regional Director of Medical and Health Services, Guntur is on or before 30.07.2016 by 5:00 P.M.
Get Download Complete Notification and Application form Click Here. Get Download Selection list Click Here.